December is the month for being busy. Between checking off items on your shopping list, wrapping gifts, decorating the house and attending holiday parties, it’s easy to get swept up in the season. However, while it may not be fun to think about, this time of year comes with specific safety concerns. Taking some time to be aware of these will guarantee a safe and happy end to 2015 for you and your family! Keep the holiday tree away from open flames, including fireplaces and lit candles. Set the tree a distance away from sources of heat like radiators and vents. Be wary of electric lights and decor that is tempting to small children and curious animals. Keep dangerous items, such as ornaments with small and detachable parts, out of reach. Don’t overload electrical sockets or plug too many devices into one extension. Do not run cords under rugs, through walkways, or around furniture legs. Regularly water the tree to keep it from drying and creating a fire hazard. Frequently check the base for water and make sure the tree remains securely fastened. Particular plants are used for decoration but poisonous to children and pets. Avoid using mistletoe, holly berries, Jerusalem cherry, and amaryllis. Bring the car to a mechanic for winter preparation. Being proactive lessens the possibility of breakdowns and avoidable mishaps. Don’t drive long distances alone. Travel with a friend or family member, or consider using public transportation. Never drink and drive. Elect a designated driver or download the Holiday safe ride app. Mind your speed. Icy and snowy roads necessitate keeping greater distances from other cars and longer times to come to a complete stop. A text or social media prompt can wait. Do not use your smartphone while driving. If you need to call or text for directions, pull to the side of the road and turn off your car. Cook food at 165 degrees and serve at a temperature above 140 degrees to ensure bacteria is destroyed. Don’t allow leftovers to sit in a bag for more than two hours. Store leftovers in 2-inch deep, shallow containers. The holiday season brings cold and flus along with it. People have bacteria on their hands, so keep their fingers from picking at food other people will be eating. Keep raw eggs, meat, poultry, and seafood away from other foods. Maintain this rule when storing foods in the refrigerator. Shop in the day whenever possible. If you’re shopping at night, go with a friend or family member. Avoid wearing expensive jewelry and clothes that may attract a thief’s attention. Don’t bring large amounts of cash with you and avoid carrying a wallet or purse. Frequently check pockets when walking around large crowds and immediately contact your credit company if a card is lost or stolen. Stay aware of your surroundings and approaching strangers. The holidays are for giving but also a season for cons and personal theft. If you must use an ATM, choose one located inside a mall or at a well-lit location. Only withdraw the amount of money needed. Protect your PIN by shielding the screen when someone is standing behind you. Don’t leave children unattended or the car running when stepping out to use an ATM. Do not discard your receipt at the ATM location. Be aware of package theft. If you won’t be home, schedule a package to be delivered at work or at a neighbor’s house. If you’re going on vacation, have a neighbor or friend watch the house. Have them leave tracks in the snow, turn lights on and off, and collect mail and newspapers. Don’t make holiday gifts visible through home doors or windows. 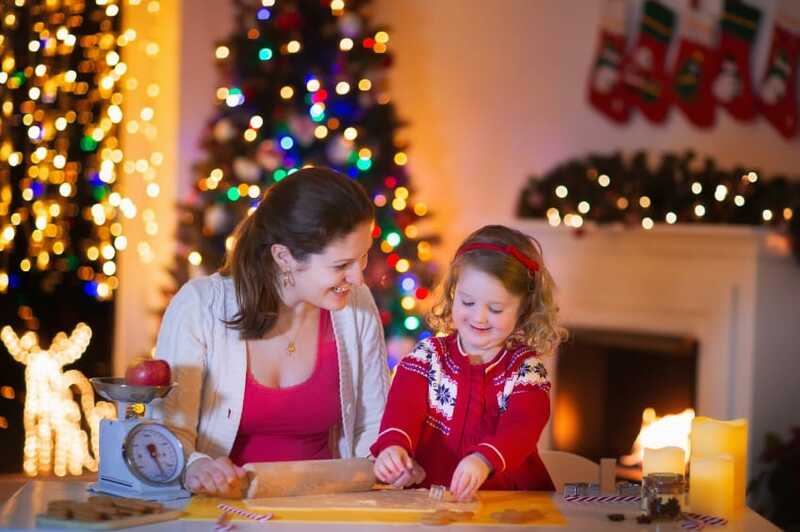 Avoid putting lights on a timer when the home is unattended. Burglars take note of sentiments of automation, which may draw their attention. Park close to your intended destination and walk in groups in urban settings. Place valuables in the trunk and make sure items are not visible from the outside.